The Shropshire Barn Owl Group has installed 387 nestboxes throughout Shropshire since 2002 to provide breeding sites for barn owls. 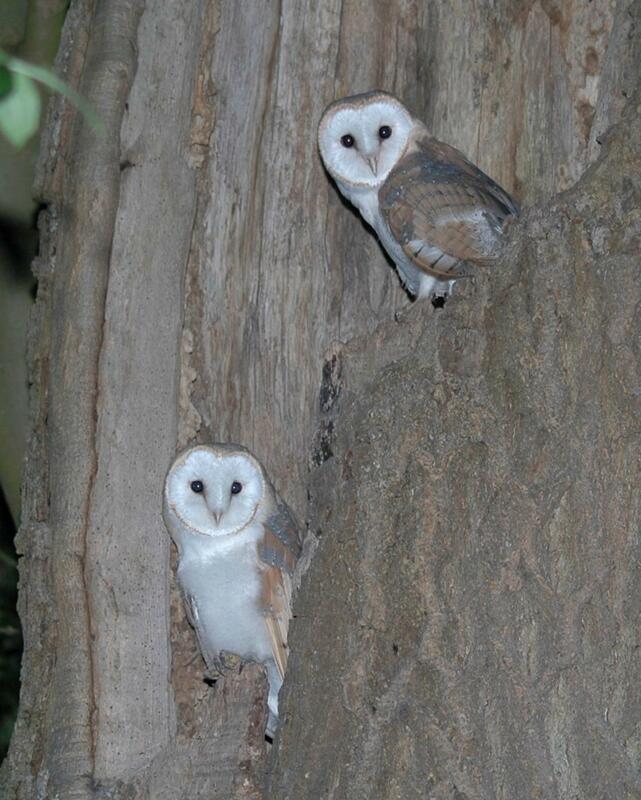 Barn owls are cavity nesters, mainly in large, old trees such as oak and ash in hedgerows and open fields. 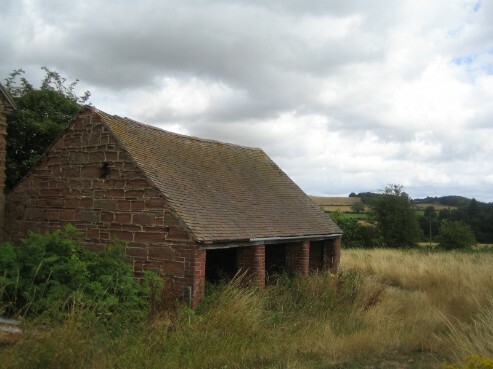 Man-made structures, particularly barns and other farm outbuildings and ruins, provide an alternative artificial substitute for nesting barn owls. It was clear when we started out that there was a serious deficiency of nest sites for barn owls in Shropshire and that this may have been inhibiting their population. During our surveys of potential sites we often found areas supporting good barn owl hunting habitat but no trees or buildings with large cavities or holes for nest sites. Alternatively, we occasionally found interesting old barns and trees but not enough rough grassland in the immediate vicinity. Our task was to bring these two essential ingredients together and nestboxes were a key tool. 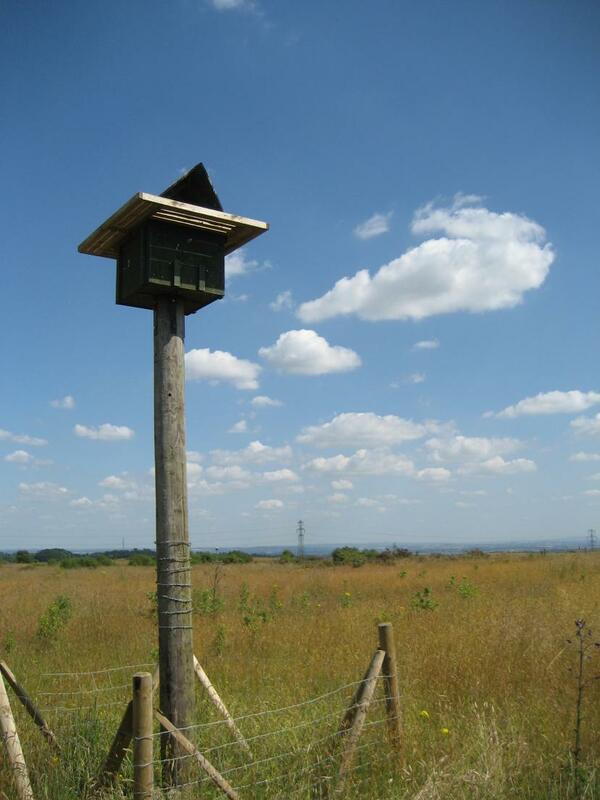 Quite conveniently, barn owls readily occupy nestboxes so we set about identifying those ares supporting extensive areas of the required permanent, tussocky grassland habitat and installing nestboxes where feasible. 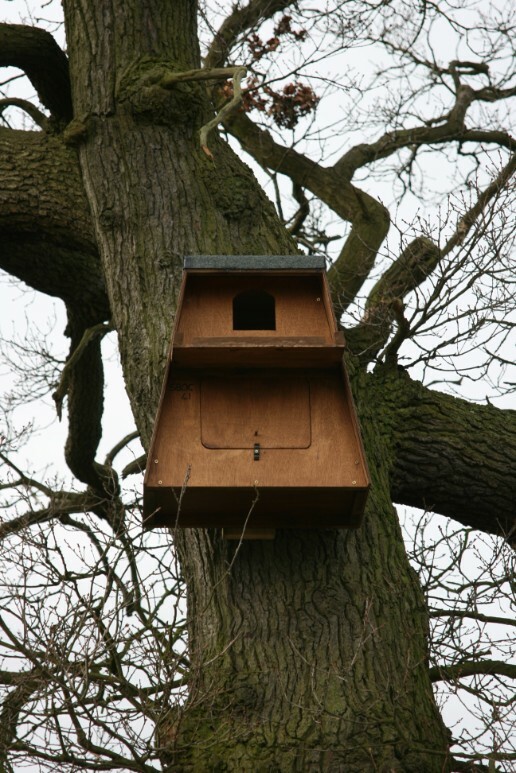 We have tried and tested several designs of nestboxes for external sites, including 'A' shaped and rectangular shaped boxes and over time have refined our preference for the 'A' shaped nestbox with a flat roof. Young birds nearing the fledging stage tend to be active and will exit the nestbox and explore their immediate surroundings. The flat roof provides a safe perching platform for young barn owls and reduces the risk of them falling directly to the ground and possible death. Unlike tawny owls, young barn owls incapable of flight are unable to climb back up the tree trunk to their nest hole and will succumb. 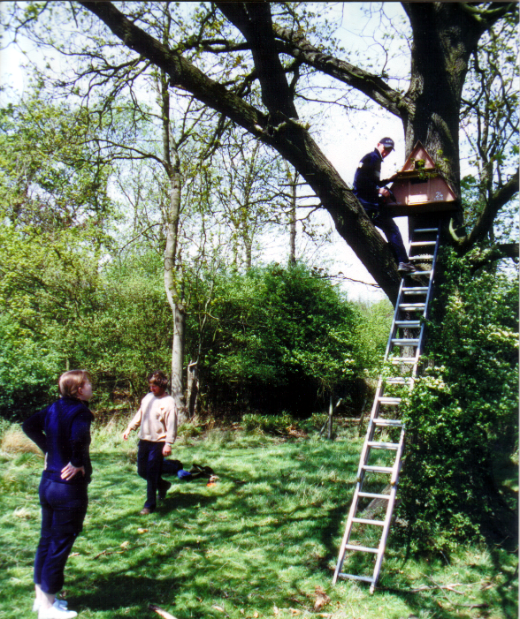 External nestboxes are routinely sited on large, isolated trees in hedgerows or open fields, on a flat surface of the tree trunk at a height of around four metres. 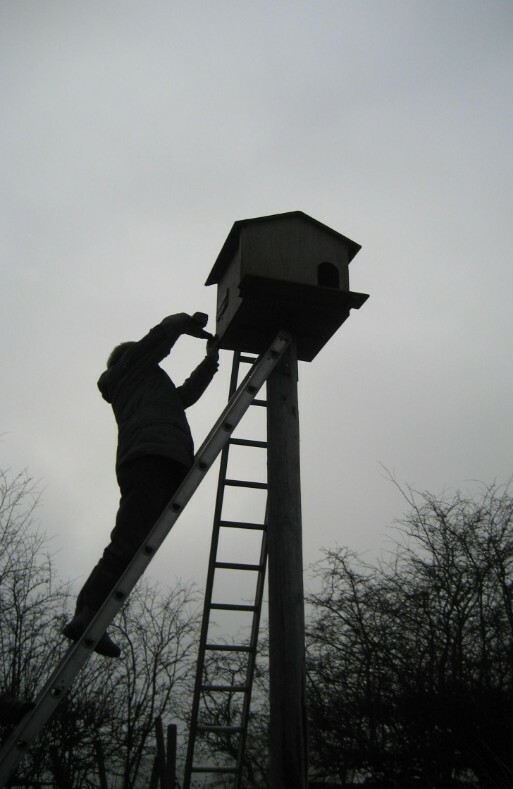 We always ensure that the nestbox entrance faces east away from the wet westerly winds. Barn owls have traditionally nested in barns and other outbuildings on farmland, which provide dark nooks and crannies in which they can nest, safe from the prevailing elements. 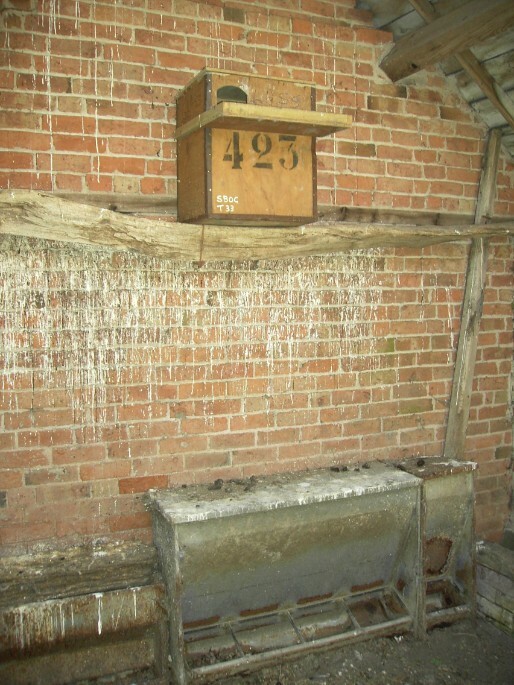 Unfortunately, many buildings do not have a suitable platform or cavity in which barn owls can lay their eggs and in such situations we provide the essential breeding cavity in the form of an adapted tea-chest. The external hole in the tea-chest is positioned at the top of the nestbox so that only well developed young capable of some flight are able to jump up and exit the box. This reduces the risk of very young birds falling from the nestbox to the ground. The tray and flat roof provide a platform on which emerging young owls can perch and again reduces the risk of young birds prematurely falling to the ground. Occasionally, we discover extensive areas of ideal barn owl grassland habitat - 'barn owl heaven' - but without any suitable trees or buildings to support nestboxes in the immediate vicinity. In these situations we resort to pole nestboxes, a large rectangular box positioned at the top of an old telegraph pole. 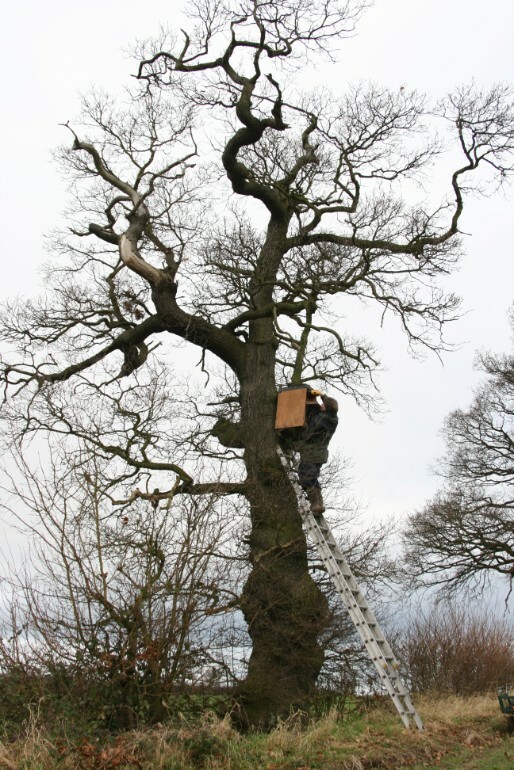 Installing pole nestboxes takes some planning and can be time consuming and demanding. 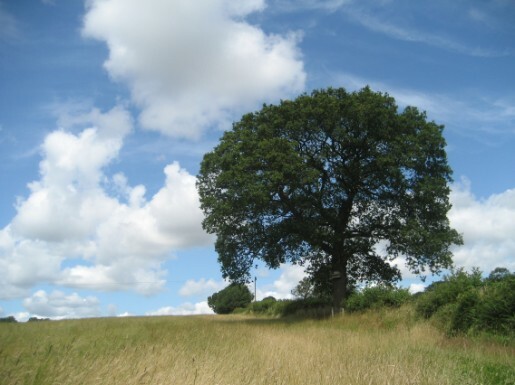 However, the fact that the site supports some of the best barn owl habitat that we are ever likely to find in the Shropshire countryside means the prospect of encouraging barn owls to occupy the nestbox is very high and so tempting that it is well worth the effort. 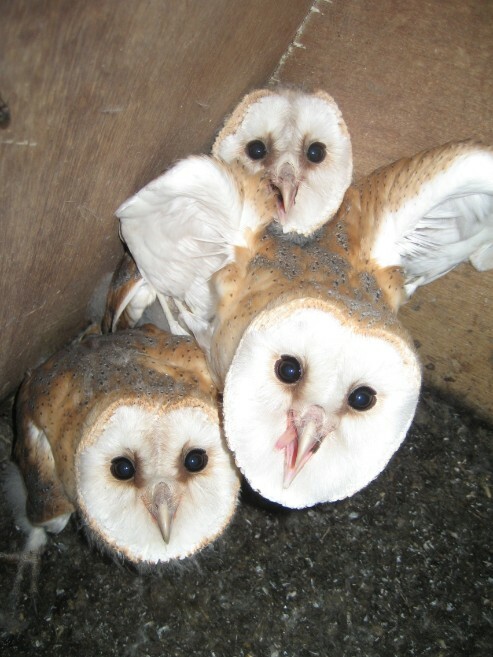 For more information on the breeding success of barn owls in nestboxes and natural sites in Shropshire go to the results so far or annual reports pages.